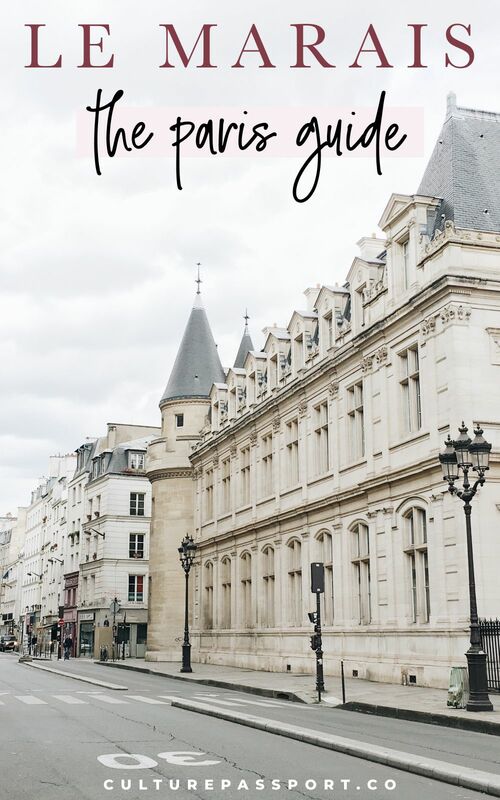 Le Marais may not be the first neighborhood you think of when you imagine Paris, but it’s my favorite area to spend time in. 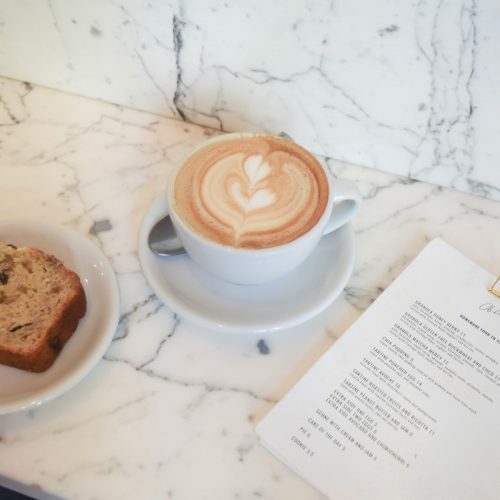 If you’re familiar with New York City, then you could compare the Le Marais neighborhood to the West Village or Soho. 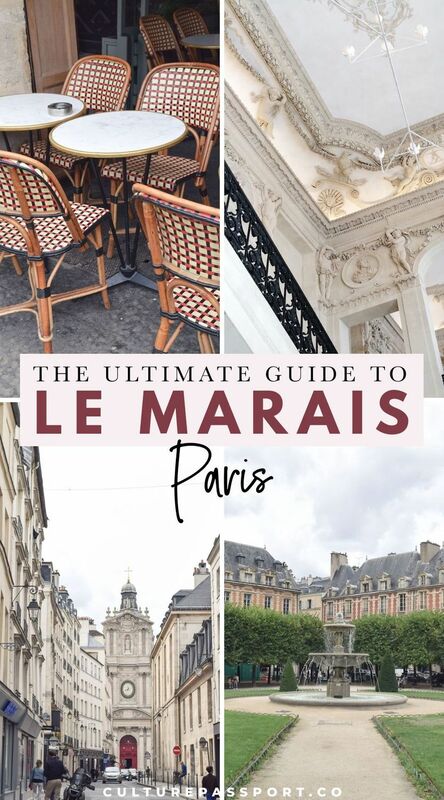 Le Marais is full of small, cobblestone streets, and lined with cozy restaurants, trendy independent fashion boutiques, artisanal coffee shops, contemporary art galleries and several prominent museums. Le Marais occupies an area comprised of parts of the 3rd and 4th arrondissements of Paris. 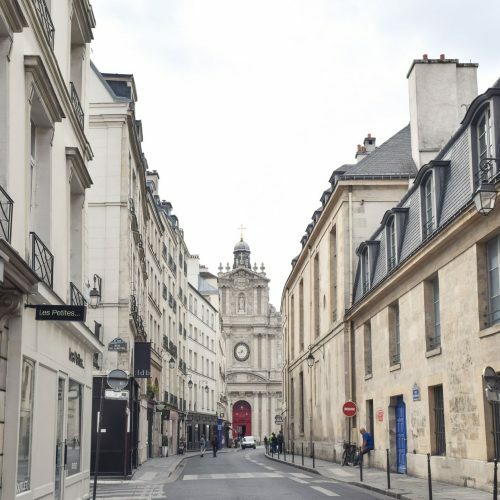 The northern part of Le Marais is also known as “Haut Marais.” Le Marais is the area roughly south of Place de la République, east of Rue Beaubourg, north of the Seine River, and west of Place de la Bastille and Boulevard Beaumarchais. Although it was once an enclave for the rich, after the revolution, it attracted poor artistic bohemian residents. It is one of the few neighborhoods spared by Napoleon when he decided to modernize Paris, and thus many of the buildings there are among the oldest in the city. Today, it is the most prominent Jewish quarter of the city. If you’d like to stay in Le Marais during your trip to Paris, then you have plenty of hotels to choose from, at a range of prices. It’s tough to find budget accommodations in Le Marais, but if you’re looking for an inexpensive hotel, then try Hôtel Picard or My Hotel in France le Marais. There are plenty of mid-range hotel options in Le Marais. For a trendy boutique hotel, consider Jules & Jim. For mid-range hotels, take a look at Hotel Emile, La Chambre du Marais, Le 1er Étage Marais, Hôtel du Haut Marais, Hôtel Jeanne d’Arc le Marais, Hôtel de JoBo, or Hôtel du Petit Moulin Paris. For trendy luxury, go for Hôtel National Des Arts et Métiers, which has an uber cool bar in the lobby. For elegant Parisian luxury, definitely stay at Le Pavillon de la Reine – Place des Vosges, a 17th century former private residence. 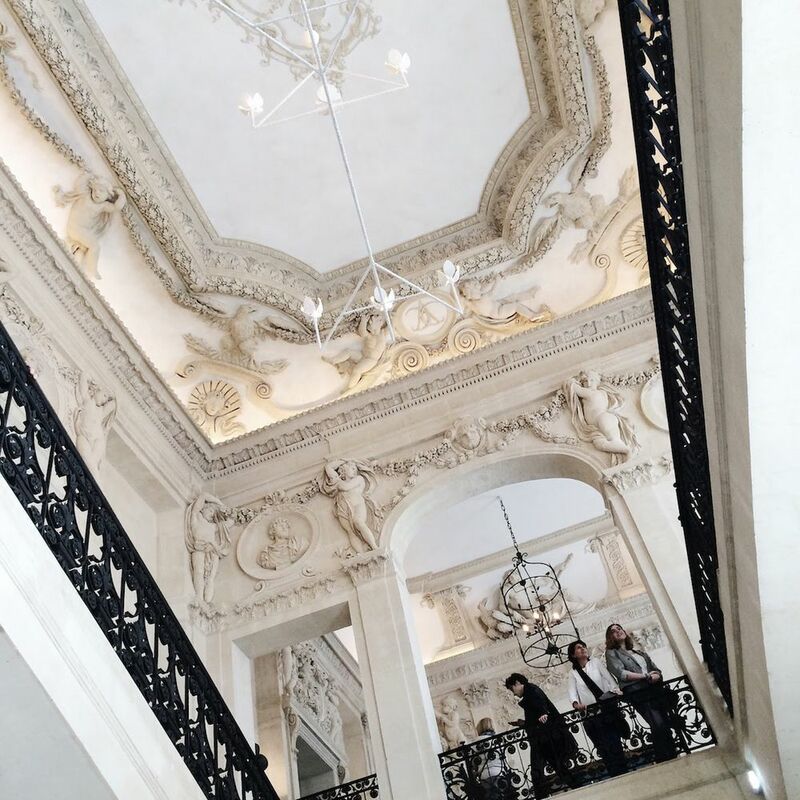 Lastly, for affordable luxury, consider Hôtel Charles V.
There are a ton of things to do in Le Marais, especially if you love the arts. 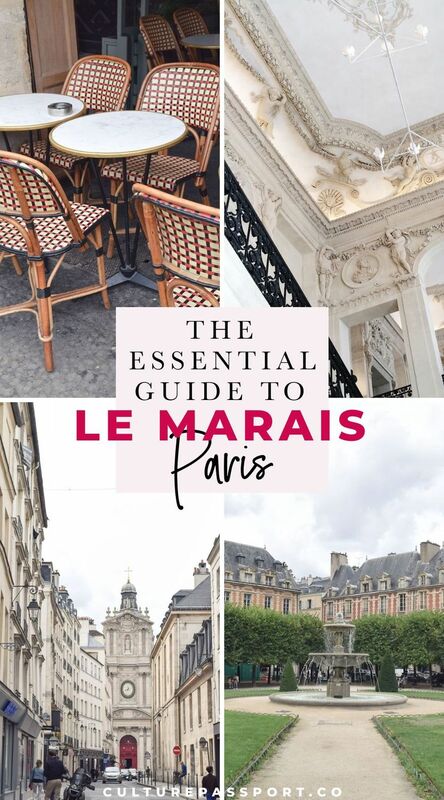 Here are my top recommendations for what to do in Le Marais! 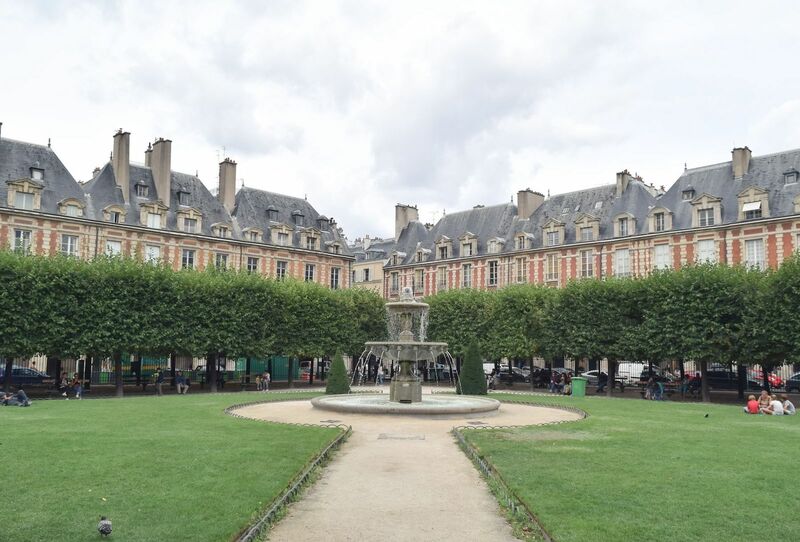 Place des Vosges – You can’t miss Place des Vosges in southeastern Le Marais. This public park, originally called Place Royale, is the oldest planned square in the city of Paris. During the 17th and 18th centuries, it was extremely fashionable to live here, and many of the French nobility called the soft pink buildings home. The square was built upon a commission by Henri IV between 1605 and 1612. Celebrated French writer Victor Hugo lived at number 6 from 1832 to 1848, which today houses a museum honoring his work. Covered passageways line the perimeter of this park, where you can find restaurants and art galleries to explore. Sip on tea at Carette and dine at Café Hugo – you won’t be disappointed! Rue des Rosiers – Rue des Rosiers is the epicenter of the Jewish quarter in Paris. A great day to visit is Sunday, when many other businesses in Paris are closed. Arrive early as the charming Rue des Rosiers is popular among tourists! L’As du Fallafel always has a line around lunchtime, when they serve the city’s best falafels. La Droguerie is equally popular for those who crave a crêpe cooked right in front of their eyes! Anne Frank Garden – This peaceful garden in central Paris, at 11 impasse Berthaud, pays respects to the famous victim of the Holocaust, Anne Frank. Excerpts from Anne’s diary are included in the park which is open from 9am to 8pm every day. Maison de Victor Hugo – French writer Victor Hugo lived in the Marais for 16 years. Today, you can visit his former residence, now a city museum where you can get a glimpse into the novelist’s life. 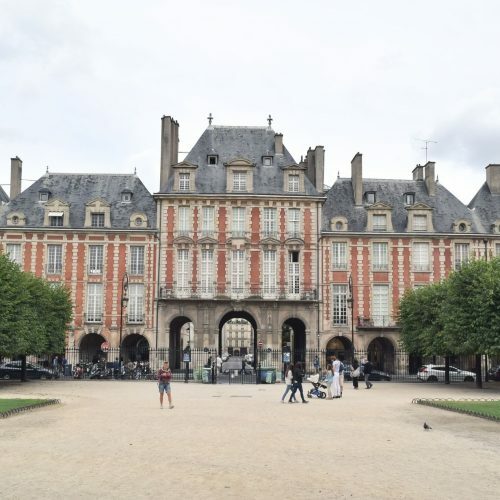 The museum is located at 6 Place des Vosges, and opens from Tuesday to Sunday. Gallery Hopping – The top contemporary art galleries in Le Marais include: Galerie Perrotin (3 spaces), Galerie Thaddaeus Ropac, Galerie Daniel Templon, Galerie Xippas, Almine Rech Gallery, and Marian Goodman Gallery. There are so many places to eat in Le Marais that you’ll have a tough time deciding which of the amazing Le Marais restaurants to eat at! From French to Middle Eastern, to American, to vegan, there are endless cuisines to choose from in Le Marais. 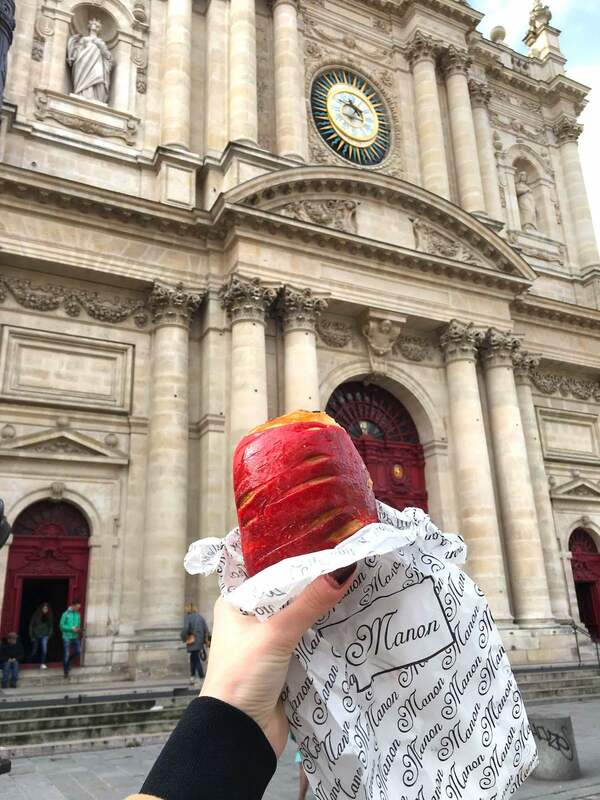 Boulangeries – For a delicious baguette, croissant, pastry or sandwich, head to one of my two favorite boulangeries in Le Marais: Miss Manon and Au Levain du Marais. Both are high quality, yet affordable. Markets – For browsing a Parisian market, head to the famous Marché des Enfants Rouges for fresh fruits, vegetables, meats and cheeses. Crêpes – You can’t go to Paris without eating a crêpe and the best places to eat them are La Droguerie, on Rue des Rosiers (to-go option available! ), and Breizh Café, which specializes in traditional Breton galettes. Both are been known to have lines out the door, so arrive early! Brasseries – For a sidewalk lunch en terrasse, head to Café Charlot, where all the cool Parisians meet, or Camille, for a traditional French meal. Middle Eastern – Tourists from around the world flock to L’As du Fallafel for a taste of their famous falafels. Burgers – Le Ruisseau Burger is my favorite place for a good old burger and fries. It’s also very reasonably priced compared to other Parisian burger joints, and you can get a meal for just 13 euros! Health Food – For healthy meals, head to Season, Health Inside, or Wild and the Moon, where I get my açai bowls in Paris! Traditional French Food – For a traditional French meal, head to Chez Janou or Camille Restaurant. Trendy French – I absolutely love visiting Derrière, a quirky French restaurant in the Marais! Don’t forget to go upstairs at some point! Fine Dining – For an upscale meal in Le Marais, head to the highly rated L’Ambroisie. Le Marais is a great place to go out. The area is known for trendy cocktail bars, hipster dive bars and a beautiful rooftop bar that gives you a great nighttime view of the Eiffel Tower! Rooftop Bars – For a great view of Paris at night, look no further than the rooftop of department store BHV and head to Le Perchoir! Casual Drinks en Terrasse – For casual drinks at a bistro table on the sidewalk in Paris, my favorite places to drink are Le Progrès and Café Charlot, both in Haut Marais. Hipster Bars – For a hipster vibe, head to the famous La Perle, or venture behind a Mexican food joint to sip cocktails at Candelaria. Specialty Cocktails – For crafted mixed drinks, don’t miss a visit to Little Red Door, Le Mary Celeste, and Andy Wahloo. I’m pretty sure Le Marais has the highest amount of specialty coffee shops out of all the neighborhoods of Paris! 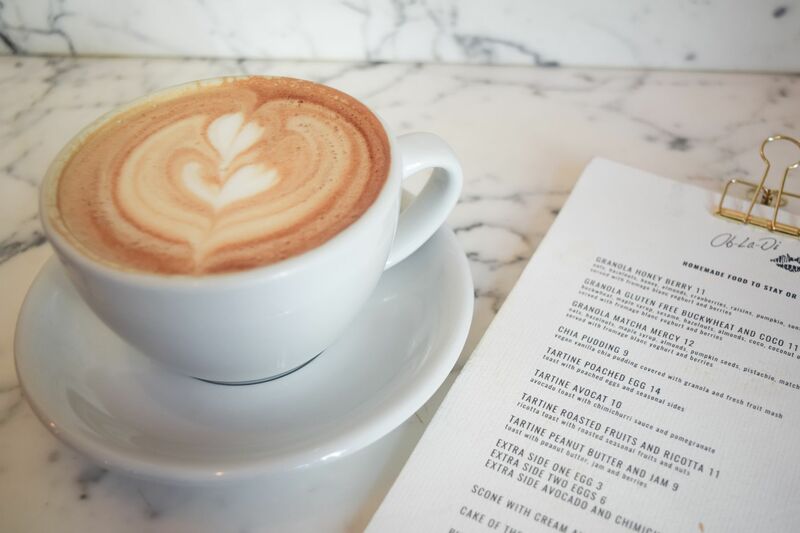 For the best cafés in Le Marais head to: Café Crème or Café Charlot for a traditional Parisian coffee experience en terrasse, or one of the following specialty coffee shops for an artisanal third wave coffee beverage: Fragments, Boot, Fondation, Ob-la-Di. 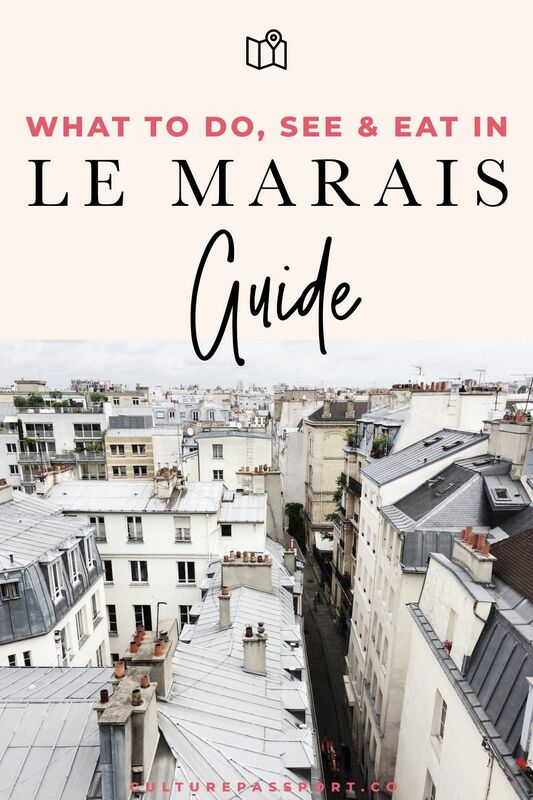 If you love shopping and discovering cool new designers, then you’ll love le Marais. It’s impossible for me to walk down the street without coming across a cute boutique, and popping in for a peek. 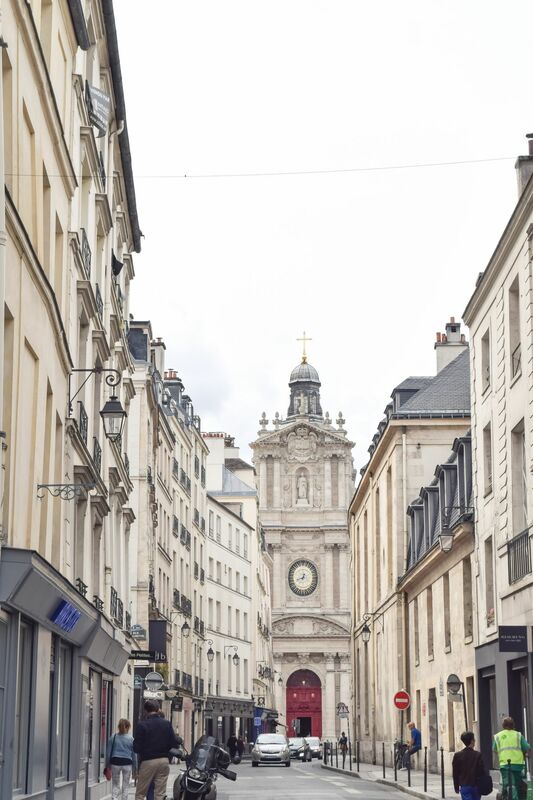 The trendiest boutiques can be found along Rue Vieille du Temple. You can also walk down Rue des Francs Bourgeois and Rue de Rivoli in the Marais to see larger more established brand stores. Department Stores – the famous BHV offers 7 levels of just about anything you can imagine! From clothes to electronics to gifts, BHV has it all. Concept Stores – Merci is a must-visit for on-trend visitors to Paris. The Broken Arm is part coffee shop, part fashion boutique. Head to Tom Greyhound for the latest in minimal fashion trends. Independent Designers – Polène, a French leather goods store, has taken the fashion world by storm. Be sure to visit their shop in Le Marais for a bag no one will have back home. Maison Labiche will send you home with an adorable blue and white striped t-shirt, just like the French wear. Daphne Dasque sells beautiful jewelry found on all the coolest French girls. 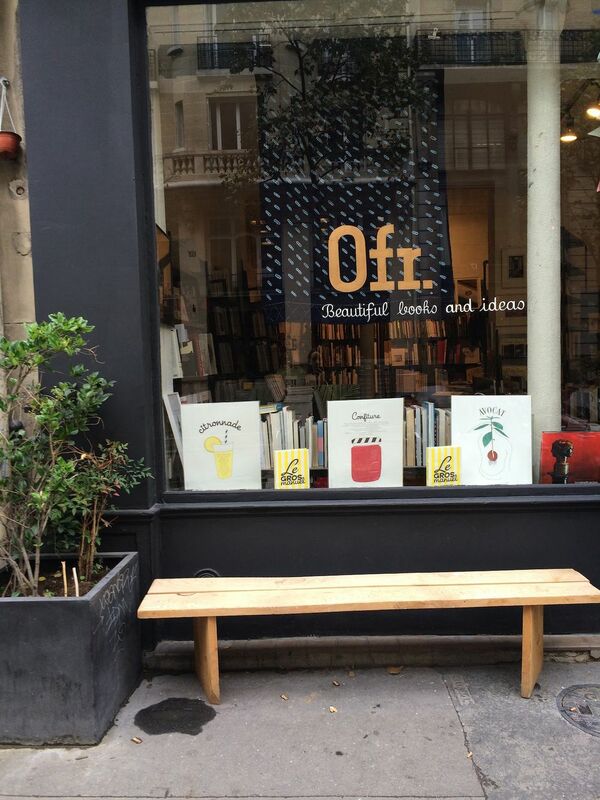 Offbeat Shops – When I’m looking for something offbeat, I head to 0fr Bookstore or browse the antiques in Le Village Saint-Paul.